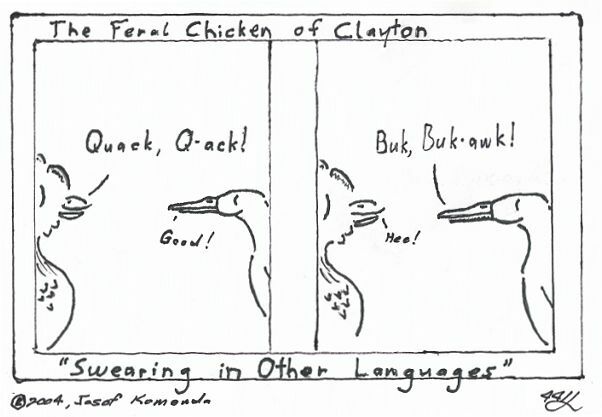 Welcome to the inagural Feral Chicken of Clayton comic! I plan on making Updates every Monday. Note that they won't all be this rough looking. I plan on getting a scanner and also coloring them. I just slapped this together as a proof-of-concept, although I do like the joke.